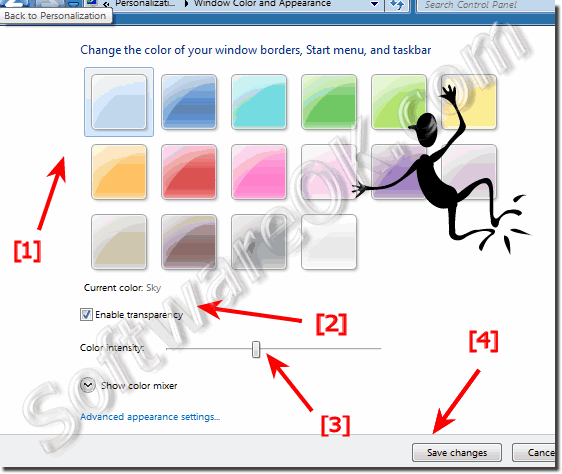 It is very easy in Windows 7 to change or customize the Window Color! Please click the right mouse button on an empty area in the Desktop and click Personalize (... see Image-1 Arrow-1 ) . In the window "Control Panel \ All Control Panel Items \ Personalization" please click "Window-Color"
(... see Image-1 Arrow-1 ) . How to change Windows Color in Windows-7? 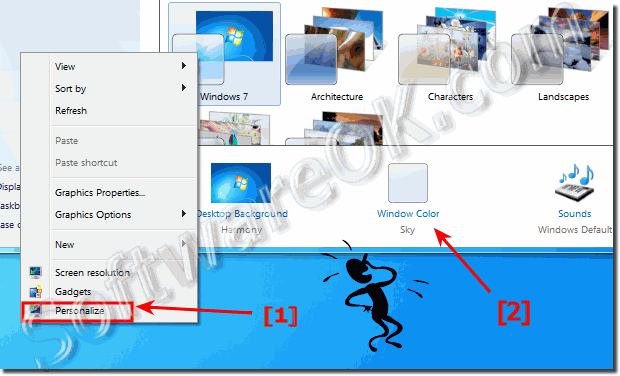 Windows-7 - FAQ-74: How to change Windows Border Color in Windows-7? Change border color windows 7 pro? Change windows 7 border color?